This latest pictorial update from Crich features two recent events. Over the weekend of 20th and 21st August there was a Models Weekend which saw a number of layouts on display in the Great Exhibition Hall. 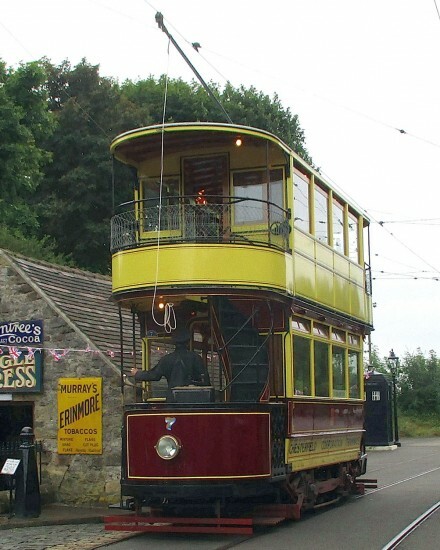 Meanwhile as we reported last week Chesterfield 7 has now returned to service following attention to its paintwork in the Workshop required after the removal of its Recruiting Tram decorations of last year. Photos from Hazel Quarmby. 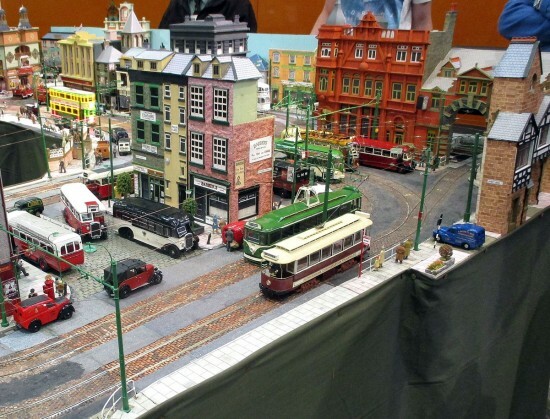 One of the layouts at the models event. 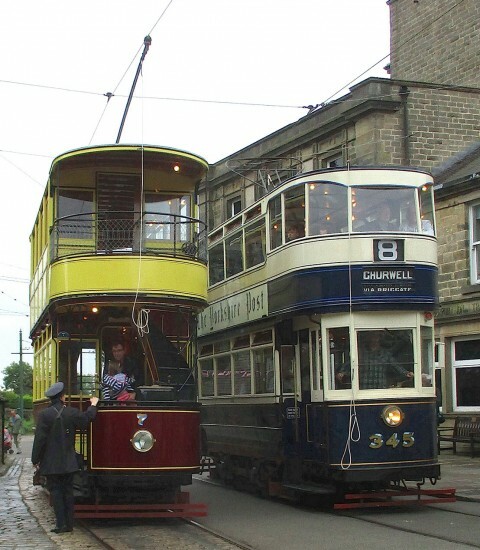 Rotherham tram meets Blackpool tram. 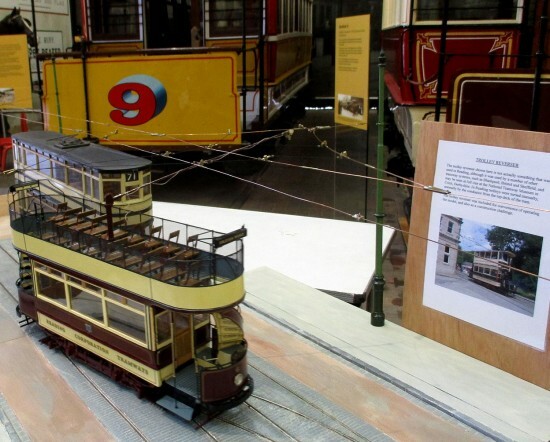 A Reading tram model with explanation of a trolley reverser behind. The horse tram collection provides the backdrop. On 22nd August and Chesterfield 7 is seen alongside Leeds 345 at Stephenson Place. 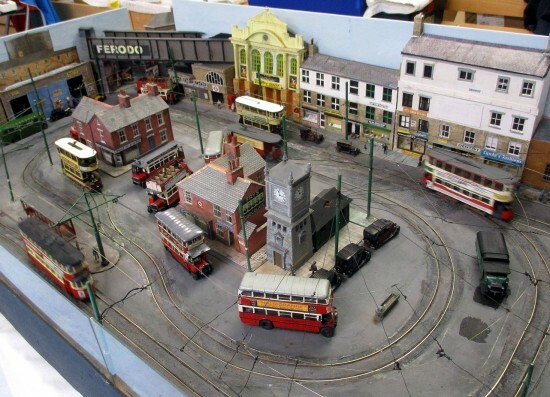 This entry was posted in Crich Tramway Village, Models. Bookmark the permalink.